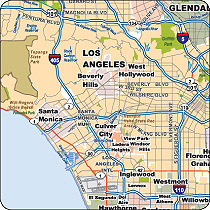 Maps.com is recognized as a leader in providing quality, customized area coverage maps for the wireless market. As your coverage areas expand, we will also assist you by keeping your marketing materials up-to-date. We have created and updated hundreds of maps for the leading wireless service providers, such as T-Mobile, Sprint, and Verizon Wireless. Let us create them for your business, providing you with the competitive edge you need in this aggressive marketplace.